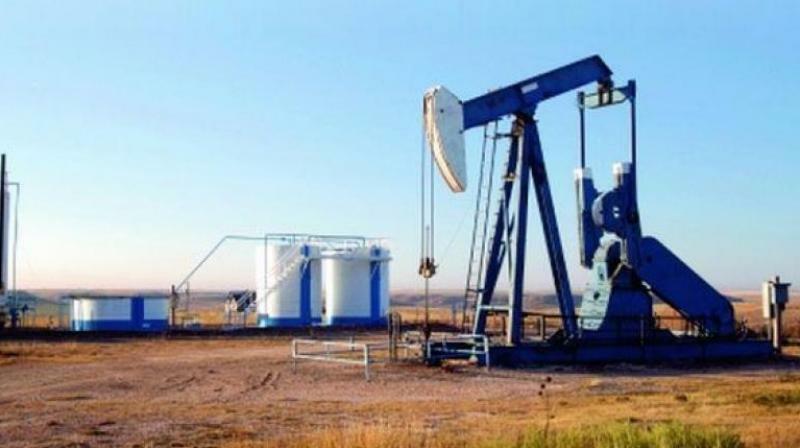 US West Texas Intermediate (WTI) crude oil futures were at USD 52.78 per barrel at 0329 GMT, up 37 cents, or 0.7 per cent. Singapore: Oil prices rose on Tuesday amid OPEC-led supply cuts and US sanctions against Iran and Venezuela, although analysts expect surging US production and concerns over economic growth to keep markets in check. US West Texas Intermediate (WTI) crude oil futures were at USD 52.78 per barrel at 0329 GMT, up 37 cents, or 0.7 per cent, from their last close. Analysts said markets are tightening amid voluntary production cuts led by the Organization of the Petroleum Exporting Countries (OPEC) and because of US sanctions on Venezuela and Iran. “We believe that oil is not pricing in supply-side risks lately as markets are currently focused on US, China trade talks, ignoring the risks currently in place from the loss of Venezuelan barrels,” US bank JP Morgan said in a weekly note. Growing US supply and a potential economic slowdown this year could cap oil markets. US bank Morgan Stanley said the surge in US crude oil production, which tends to be light in quality and which rose by more than 2 million barrels per day (bpd) last year to a record 11.9 million bpd, had resulted in overproduction of gasoline. As a result, Morgan Stanley said “low refining margins and weaker economic data means oil prices can rally only so much (and) we continue to see modest upside for Brent to USD 65 per barrel in the second-half (of 2019)”. Bank of America also warned of “a significant slowing in growth globally”, adding that it expected Brent and WTI to average USD 70 per barrel and USD 59 per barrel respectively in 2019, and USD 65 per barrel and $60 per barrel in 2020.